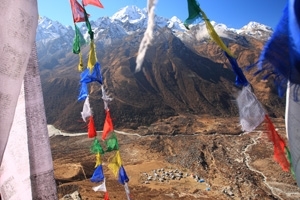 We are delighted to once again offer a trek in the stunning Langtang region of Nepal. Following the earthquake and subsequent landslide which hit Langtang in spring 2015 we now consider the time is right to return to these beautiful valleys. 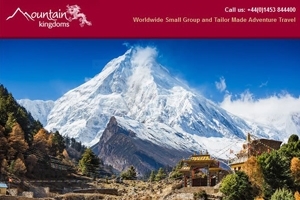 Annapurna, Everest and Wild Nepal trekking guides * Autumn and Winter late availability * What makes Nepal so special? Renowned for their incredible bravery, the formidable Gurkhas now have another achievement to add to their long line of celebrated successes: they've reached the summit of Mount Everest. Thanks to the generous donations of our clients this year, we were able to help supply the Ginette Harrison School in Nepal with two complete sets of football kits via Shiva Charity. The kits were gratefully received and instantly put to use by the footy-loving children. Funds were also used by Shiva to buy a brick making machine so that villagers could properly rebuild their homes that were destroyed in the 2015 earthquake. 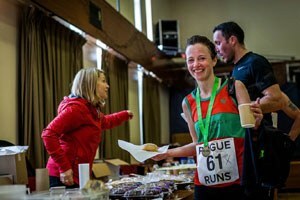 The team baked hundreds of small cakes to feed the the 500 runners who took part in an off-road race in the Forest of Dean organised by Rogueruns. 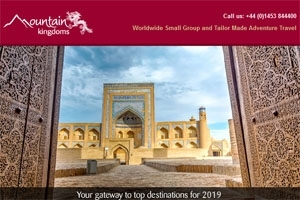 For every runner who took part, Rogueruns gave 50p to Mountain Kingdoms for their bakes. 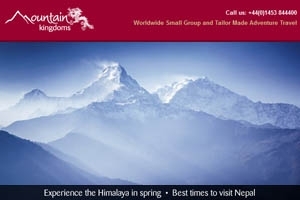 The £245 raised was then donated by Mountain Kingdoms to the Nepali Children's Trust who support the Newlife Centre orphanage in Nepal. Today marks the anniversary of the earthquake that caused such terrible devastation to Nepal last April. As a result of the impact of the quake, thousands of lives were lost, vast swathes of homes, schools and buildings were destroyed or damaged and livelihoods were deeply affected. And yet, one year on, the indomitable local people have impressively rebuilt their lives and businesses. 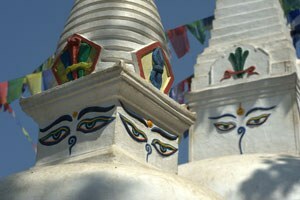 So, even as we pause and remember the dreadful loss of life last year, we can also celebrate the wonderful spirit and endeavour of the people of Nepal. More details have been announced about Prince Harry's 4-day royal visit to Nepal starting on the 19th March. The Prince will spend much of his official trip to the country in the Gurkha heartlands. He will visit the British Gurkha camp in Pokhara where the recruitment of soldiers takes place and he will also take a short trek into the foothills to see first hand how families and communities have recovered from the earthquake last April.